PCD is a proprietary format by used by Kodak. This format is designed for storing images on compact discs as well as for saving pictures created with Kodak photo processing hardware. PCD files have distinct technical characteristics. As such, they always have a resolution of 3072x2048 or 6144x4096 pixels and 24-bit color scheme. Even though the above-mentioned factors are considered to be advantages of PCD format, there are certain disadvantages as well. The major downside of this format is its compatibility with software. PCD files can only be viewed with expensive software, such as Adobe Photoshop CS5 with Kodak Photo CD plug-in, Corel PaintShop Pro X4, Corel WordPerfect Office X5, ACD Systems Canvas 12, ACDSee Photo Manager 14, XnView and IrfanView. 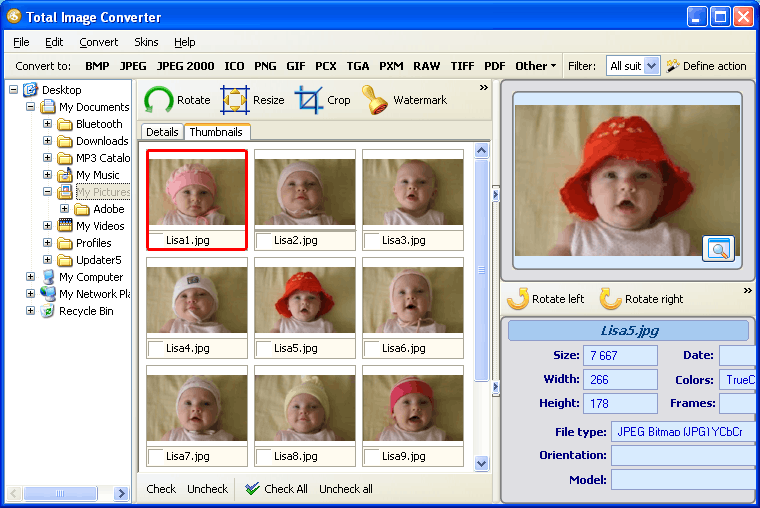 To save money, we suggest you use a special tool known as batch image converter. It allows to convert PCD to TGA, a more widespread format. TGA files can easily be viewed with free Apple QuickTime Player and other applications. TGA is a raster graphic file format designed by Truevision. As usual, users have lots of PCD files so they need to convert them as fast as possible. 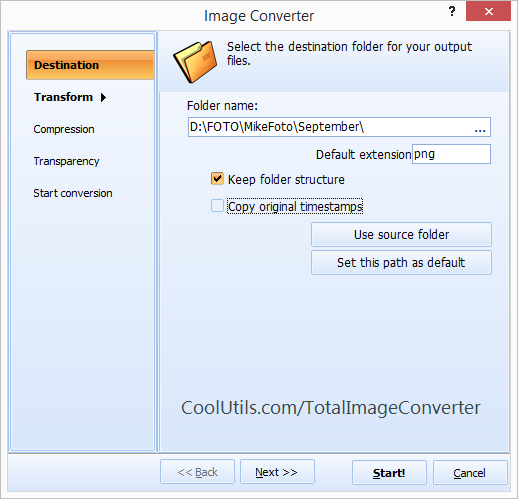 Total Image Converter by CoolUtils is the right solution in this case. This program has batch conversion mode that allows to process up to 150 files at a time in only a few clicks. You don't even need to upload the images! CoolUtils PCD TGA converter automatically creates a list of all files you have on your computer so that you only need to tick off the required files! 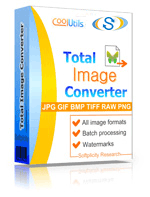 With Total Image Converter, you can not only convert PCD to TGA in batch, but also edit the files. Rotate, resize and crop the images as you like! If you want to protect pictures from unauthorized use, feel free to add watermarks with the help of the converter. 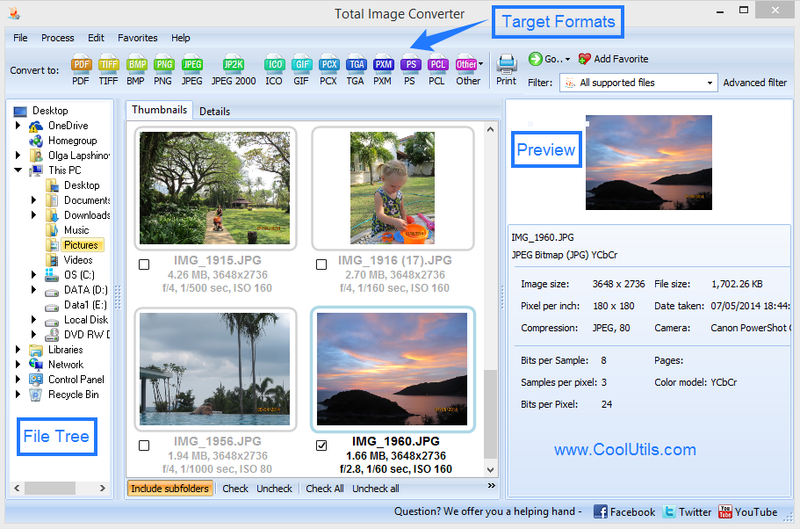 To download your free trial version of Total Image Converter, click here now and use the program for 30 days at no charge!